Be the last word in digitalisation. At prognostica GmbH, our business is the future. We are experts in predictive analytics and data science. Our interdisciplinary team consists of statisticians, mathematicians, computer scientists, physicists, biologists, economists, and software-developers. Our forte is the generation of precise and objective forecasts. With the help of statistical methods and modern machine-learning-algorithms we extract relevant patterns in order to very accurately predict future developments. This look into the future helps our clients improve their financial, production and sales planning. They use this information to more efficiently utilise their company resources and save on unnecessary expenses. Our customers are medium-sized companies and large corporations. Our forecasts provide every branch of industry with an economic advantage. In a digitalised world, those who are better prepared for the future can make better decisions. prognostica helps to reach this goal. The plethora of data in this day and age holds new challenges, and we help our clients in facing them. By identifying patterns and correlations in the data, we can derive statements that expand the knowledge about the business and make it permanently usable. While doing so, we make use of a wide variety of well-established statistical methods of analysis. With the help of innovative forecasting methods we develop precise forecasts. Classical procedures as well as techniques from the field of machine learning reliably predict future developments. Environmental information and correlations with economic, market and weather data are linked intelligently with historical developments in order to recognise changes in trend early. Prototypes are made into constant solutions. We take on the implementation and automation of solutions und support the integration into the company-wide business and IT concept through a user-oriented interface design. 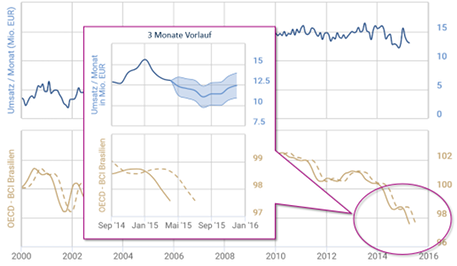 Our dashboards und reports allow for an interactive usage and individualisation of the results. "At the Data Festival 2018, I had the chance to present developments in predictive analytics in the supply chain. Many thanks to Mr. Priese from BASF SE, the organizers and all participants. The Data Festival was a great event. I am particularly pleased that we were able to show what benefits are possible through modern methodology:"
Get an immediate insight into your data. Start now, no registration required. Our forecast is based on reliable mathematical-statistical models. Depending on the specific application, the most appropriate model is employed. A high forecast quality allows for more accurate and efficient planning. The remaining uncertainty in the forecast is quantified by prediction intervals. We attach great importance to the qualitative processing of the results. The forecasts are presented in a vivid manner and can therefore be translated into action strategies immediately. 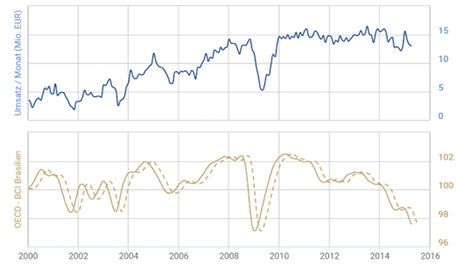 Get to know your data better: Find out about time series types, seasonality, trend behaviour, outliers and more. We establish an automated planning and controlling system which generates objective and precise sales forecasts in a very short time. High quality forecasts allow for safe planning, so that you can recognise positive and negative developments early and are able to react to them. Request the detailed use-case now. 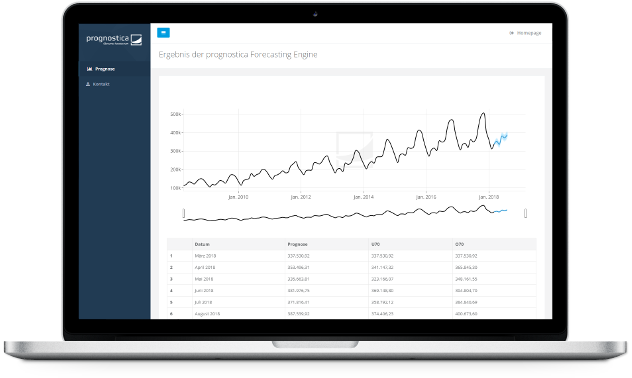 If you have any questions about our services or would like to receive further information, then send us an email to info@prognostica.de and we will provide you with the ‚prognostica' use case of a sales forecast. Our interdisciplinary team consists of 14 staff members from the fields of statistics, mathematics, computer science, physics, biology, economics and software-development. 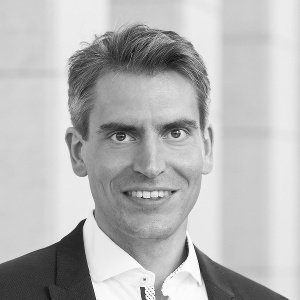 General Manager - Arne represents prognostica and ensures that the company pursues its goals. He provides the best working conditions so that our staff can commit themselves fully to their Data-Science-tasks. 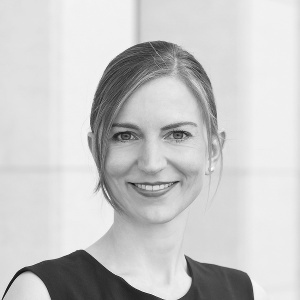 Business Development Director - Kristina is the initial contact person for our clients. She makes sure that the skills of our Data Scientists are outwardly visible and are used in the manner most appropriate for our clients. 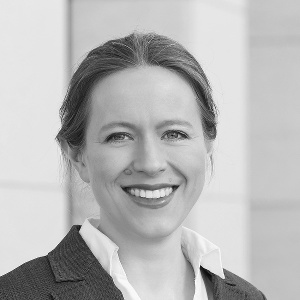 Operations Director - Lena is in charge of the operating business and ensures a smooth workflow. With meticulous planning, project coordination and her data-science expertise, she gets the best results and peak performances out of our data scientists. 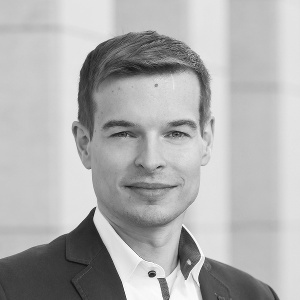 Chief Data Scientist - Thomas is our bridge to academia: He is the main contact person for methodological questions, and as the head of various data-science-projects puts current research findings into practice, in particular in close contact with data analysis research at the University of Wuerzburg. Are you interested in working in data science and want to complement our team? We are always excited about motivated new colleagues. Maybe one of our vacancies seems perfect for you. If so, send us your application! We also welcome any unsolicited application. Your data don’t stand on their own. We investigate a series of economic indicators and other influencing factors to see whether and to what degree they have predictive properties for your business. This insight allows you to act proactively and be optimally prepared for upcoming economic developments. Product specification: If the influencing factors associated with a time series are known and also predictive or leading in nature (so called leading indicators), the course of the business can be extrapolated. This allows our customers to act proactively: They are prepared for a downturn in sales because of a worsening economic climate. They can react appropriately to an imminent increase in sales with an expansion of resources and go along with the economic upswing. Consequently, our "Indicator Matching" service is interesting to companies whose business is closely intertwined with the current economic situation. This is often the case with large companies or corporations with a large range of products or with companies whose products make up a large portion of the respective market. Additionally, companies whose revenues are significantly driven by end-user business and are therefore closely connected to consumer behaviour can profit from our service. Even if the leading character of the influencing factors can not be verified, one thing is none the less gained: the knowledge of which other areas of business or influencing factors exhibit a direct or indirect connection to the respective business. This is what we do for you: We examine the relationship between your time series and a multitude of economic indicators or influencing factors we have defined ourselves. After the identification of the factors that are connected to your time series, those that have predictive properties (so called leading indicators) are identified. We compile a list with those influencing factors that are relevant to you, as well as the kind of identified correlation, impact, direction and degree of its lead. In a consultation we jointly define a reasonable analysis level as well as criteria for a preselection of potentially relevant influencing factors. You are welcome to introduce possible influencing factors yourself, for instance prices of raw materials, competing products or sales figures of adjoining business segments. What you bring along: one or more monthly time series - ideally without missing values - with at least a five year history (e.g. monthly revenue of the whole company or the business sector); if necessary, your own possible influencing factors; other granularities (e.g. data on a daily, weekly or yearly basis) are available on request. What does it cost: The price for our service is calculated by the amount of the data to be analysed as well as the amount of investigated possible influencing factors. Feel free to contact us! You roughly illustrate your problem. In a two hour meeting, you explain your problem more precisely. We visit your company and for three days you are fully available to us for questions and answers, data supply etc. We end up with a prototype. You are satisfied with our work? Commission us with the implementation of the solution! 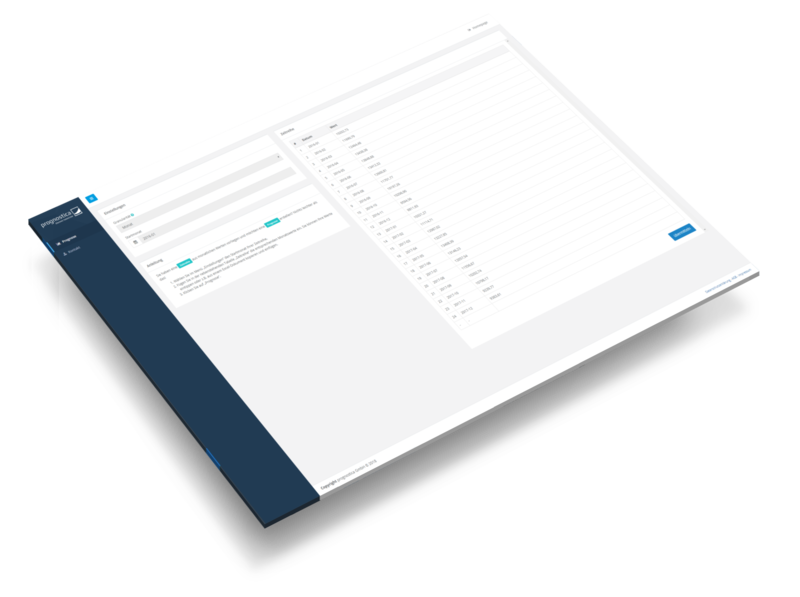 The prototype is developed into a fully functioning system with comprehensive functionality - available anytime and fully automated. Our services help companies that want to play a pioneering role in the digital transformation and industry 4.0. Are you of the firm belief that your company data holds valuable information? Are your datasets too complex to analyse them with simple methods? Do your instincts tell you that there is a connection between your data and economic developments? Do you want to reinforce your monthly manual forecasts with objective numbers? Do you not have the time to carry out this great amount of data analysis and forecasting again and again? Do you want to move forward into a digitalised world, but a lack of specialised personnel prevents you from doing so? Do you want a prototypical solution to be developed from your analytical approaches? Do you want your data to be displayed informatively and appealing at last? Do you need assistance in operationalising your possible solutions? Your question is not asked above? Contact us and we will be pleased to find out together in what way we can be of help to you.